Join us at Garter Lane for the launch of the 10th Waterford Film Festival and the announcement of the shortlisted films and screenplays. Followed by a screening of Atlantic, Narrated by Emmy Award-winning actor Brendan Gleeson. 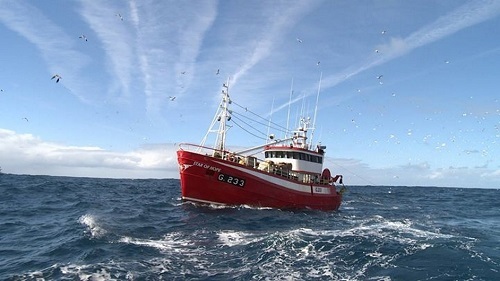 Atlantic follows the fortunes of three small fishing communities united and divided by the Atlantic Ocean – Ireland, Norway and Newfoundland – as they struggle to maintain their way of life in the face of mounting economic and ecological challenges. This entry was posted on October 11, 2016 by waterfordarts in events, Film, Garter Lane and tagged Film, garter lane, Garter Lane Arts Centre, waterfordarts.com, what's on in waterford, whats on waterford.